Poll: Who do you think Mafuyu will end up with? Poll: Who's your favorite character? I'm pretty new around here on this website. I went to otakumole to register, like what someone suggested in these comments, but it turns out that registering is currently disabled. (><) Why! @hoBRO - The chapter to be published this month, is chapter 126. The latest I know is chapter 108. Man, I wonder if the author's focusing more on Gekkan Shoujo Nozaki 'cuz of it's sudden popularity? 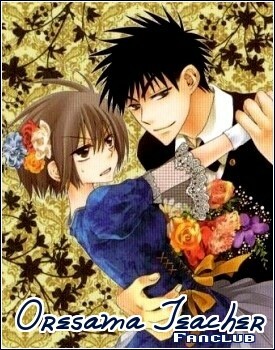 I prefer Oresama Teacher than it though..
@lisa-sama - Try reading on raffmanga. how many chapters are out yet? !i read till 106 chaps..as i read the english version...is the original manga progressed more than that?! Already 101 chapters out, the recent one was finished scanlating 2 weeks ago. Why does it feel it was awhile ago. ._. I just joined club recently...after reading some of the manga but hello to all!